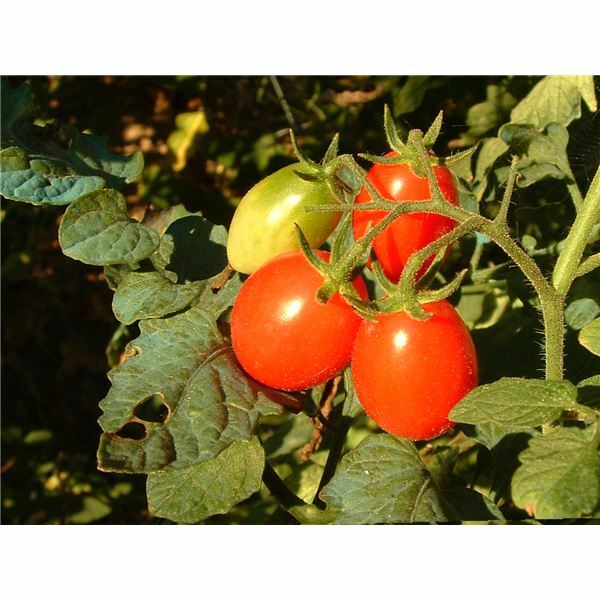 A well-known source for organic tomato seeds and organic heirloom tomato seeds is Seed Savers Exchange. Founded in 1975, Seed Savers Exchange offers a large selection of seeds via a members catalog, Internet sales and retail locations throughout the United States. The descriptions for each type of seed indicate if it is organic and/or heirloom. Tomato seeds should be started indoors six to eight weeks before it is safe to transplant them outdoors – around two weeks after the last frost. Many garden centers sell seed starter trays and kits or the tomato seeds can be started in recycled containers. five to 10 days when the indoor temperature is between 70 and 80 degrees. It isn’t necessary to have strong light during the germination phase. Once the tomatoes have sprouted they require 14 to16 hours of strong light per day. A good source of artificial light is to hang a fluorescent tube light several inches above the tomato seedlings. Hardening off is a means of introducing seedlings to cooler temperatures and the elements. The tomato seedlings should be taken outside, starting with about one to two hours a day and then gradually increase the amount of time they are exposed to the elements. Full sun and strong winds should be avoided as well as temperatures below 40 degrees. Once the danger of frost has passed, it is safe to transplant the tomatoes outdoors. If planting the heirloom tomatoes in a garden, there should be three feet left open between the plants to allow sufficient room to grow. To continue growing organic heirloom tomatoes for years to come, saving the seeds from a perfectly ripe tomato near the end of the growing season is the way to go. The tomato should be free from blemishes and not over-ripe. After cutting the tomato across its equator, remove all the seeds and place into a jar with a lid. Cover the tomato seeds with one to two inches of water, seal the lid and set aside for a few days. At that time, there should be a layer of white mold developing on the surface. Pour off the white mold and any seeds that are floating (dead seeds that will not germinate). Rinse the remaining seeds at the bottom of the jar under cool running water in a strainer, moving around to remove any remaining tomato “gel”. Place the clean seeds in a single layer on a paper plate to wick away any moisture and speed the drying process. Once the organic heirloom tomato seeds are dry (usually after a few days), place them in a labeled envelope or container and store the seeds in a cool, dark place. While there is some labor and time involved, growing fresh, organic heirloom tomatoes from seed is well worth the effort. If the harvest is successful, Heather Schulte has great suggestions to preserve the tomatoes for the winter.